Persona's world of characters is vast and interesting. There are the main characters who make great friends to social link with and have enjoyable personalities throughout the story and on the battlefield. 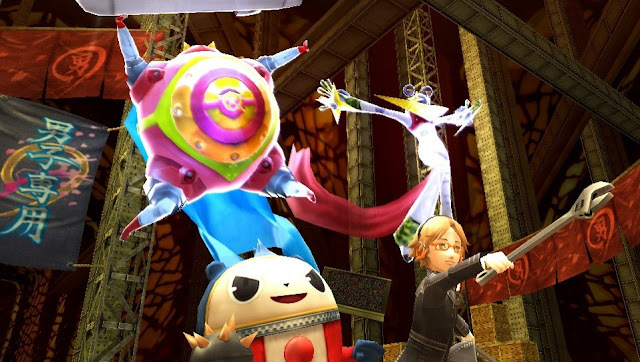 They also summon their Personas, the monster form that represents their true selves. For a game called Persona, because there are so many of these Personas, they kind of fall into the background unless they're one of the main Personas . Because of this, I didn't appreciate the character designs and stories of these mysterious characters enough for awhile, unless I saw a really cool or strange one, which is a shame as there are some incredibly interesting designs and stories to be found when it comes to Personas. So, in honour of me trying to smash through Persona 3's story and enjoying combining and creating new Persona's, I threw together a list of some weird and wonderfully awesome Personas to give some appreciation to these cool characters that I like to dungeon crawl with. Enjoy! 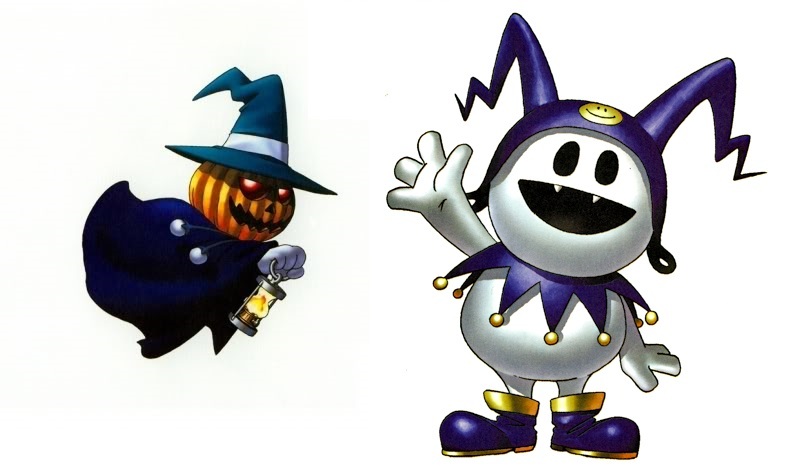 I call Jack Frost and Pyro Jack weird, but they're two of my favourite Personas ever. They're not completely weird - they're more so cute than anything else. However, as soon as I played Persona 3 and saw their fusion spell, it was so weird, cheesy and great that the fire and ice duo earned their place in my favourites for sure. 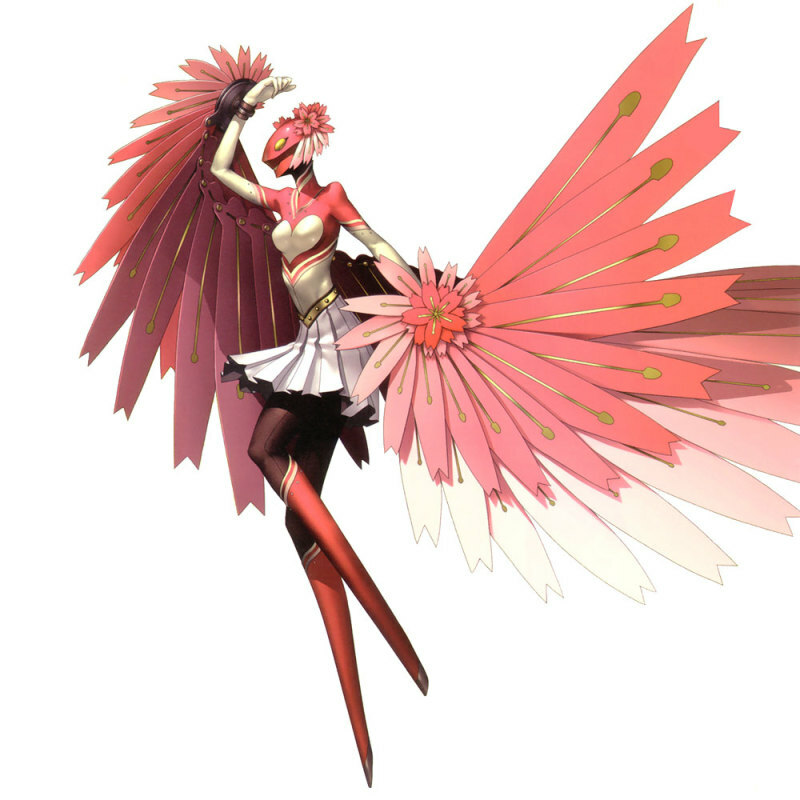 Dionysus is a powerful Moon Arcana Persona that I'm using a lot at the moment while playing Persona 3. 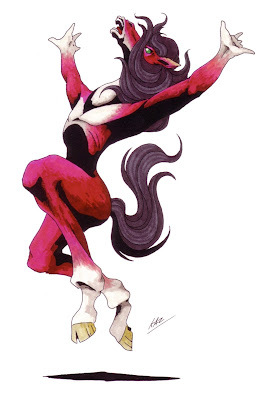 Dionysus's design seems mostly pretty cool, with great use of colour and a very Greek mythology kind of feel, which is completely appropriate when looking into the mythology of Dionysus (you can read about it on the Megami Tensei wikia page). What made this Persona weird to me is the random white underwear and matching white shoes and gloves. It's certainly a good contrast from the rest of it's colour body, but just....the underwear, really? Underwear on Personas tend to confuse me a lot actually, as not all Personas have it. It makes me think about a team of important people sitting in a room deciding which Personas will and won't have underwear and while that sounds like a hilarious job, my brain can't fully comprehend it. 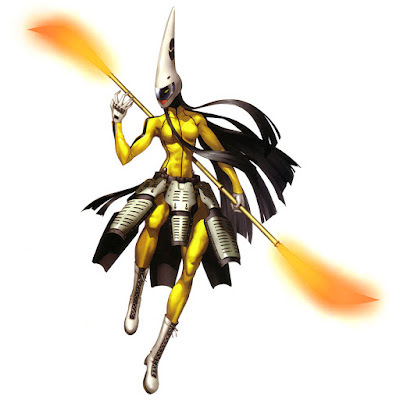 Admittedly, Orobas's name and design is pretty cool and it's a pretty powerful Magician Arcana Persona for wind attacks during earlier Persona 3 dungeons. What gets me with the design is I can't decide if it's more a horse or human. Or is it a centaur? I don't know. It seems like it could be very equal parts of all those things. 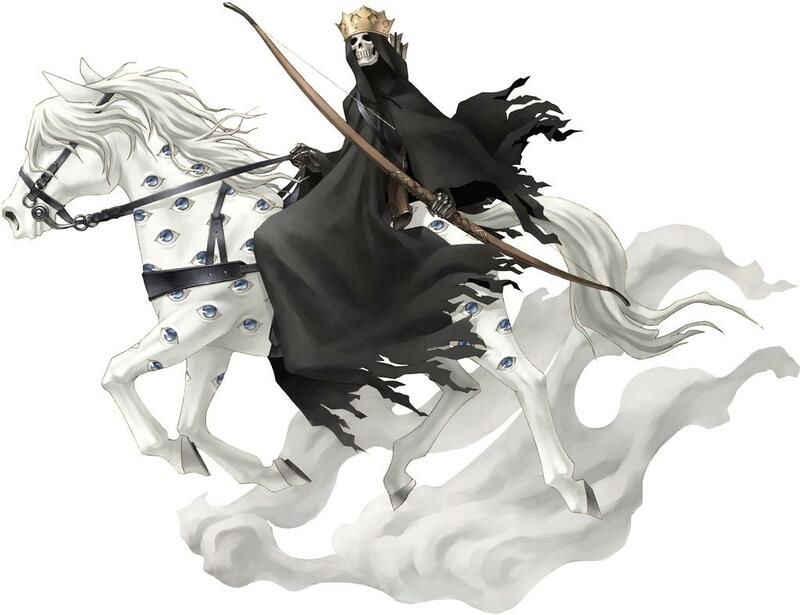 The Compendium information in Persona 3 says that Orobas is a demon that appears as a human with a horse head, so I guess that answers my question, but nonetheless, it's a very unique and interesting design. I do like how much it suits Chie though, with her strong body and fighter look. However as soon as I saw the Hiimdaisy comic, Tomoe was ruined for me. I think the photo says enough for this one. The first time I summoned Belphegor, I giggled a lot. Why is he on a toilet? Why? He's found later in Persona 4 and was quite surprising to me, considering a lot of other Personas are either beautiful, strong or cute. 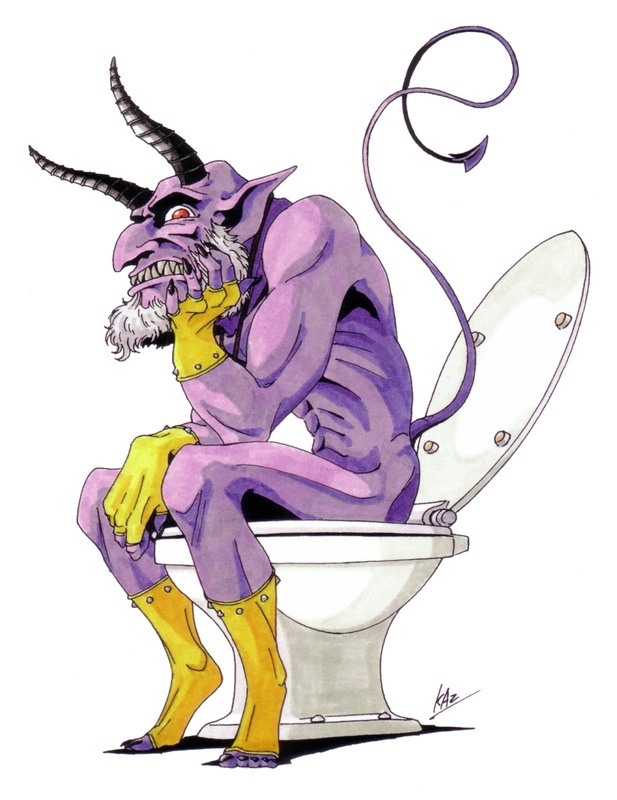 According to his Megami Tensei page, he gives people ideas for selfish and greedy intentions such as becoming rich, so it's suggested by some that he should be worshiped on a toilet, hence his design. I purposely didn't give this list any order, but if I did, Belphegor would take the crown of the weirdest looking Persona for sure. One of my favourite things about Persona 4's Personas is how much they suit their users. Take-Mikazuchi is perfect for Kanji, with his tough and strong exterior suiting the way Kanji deals with most situations in his life by being tough. Interestingly, this design of Take-Mikazuchi is very different from the regular design (which can be seen on this Persona's wikia page), but the story of Take-Mikazuchi being powerful suits Kanji's persona well. 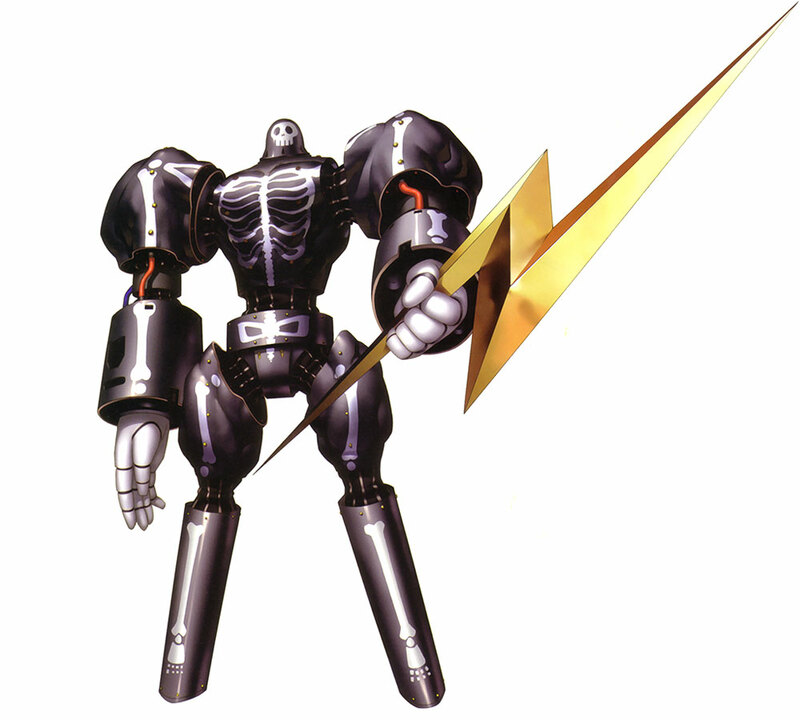 The first form of Izanagi is pretty cool, but the godly World Arcana Izanagi-no-Okami manages to be even cooler. With the word 'Ookami' in meaning 'God' in Japanese, the white and gold appearance of Izanagi is very fitting to give him a look. 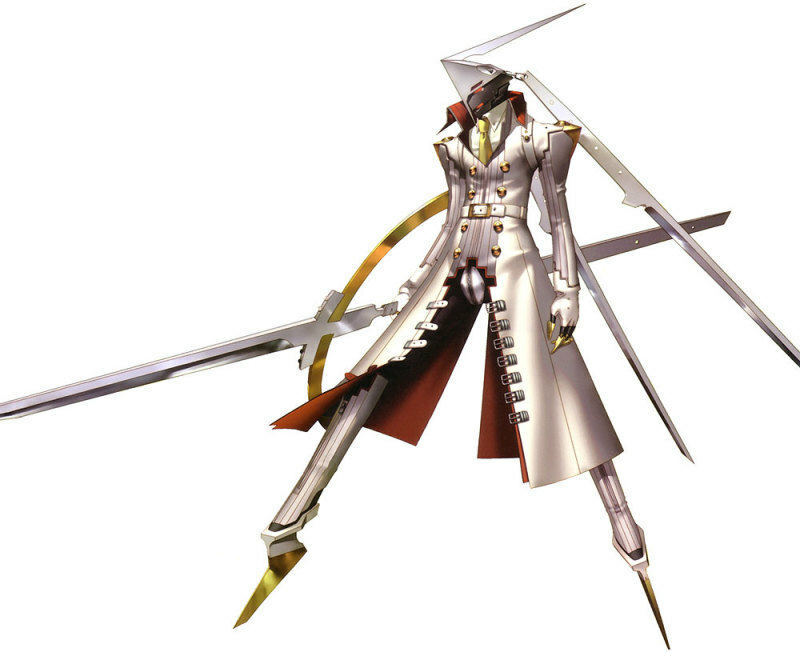 One of my favourite things is his weapon, which is significant in the end portions of Persona 4. Also, this Persona looks particularly cool at the end of Persona 4 Dancing All Night playing bass, considering the Persona looks a little rock and roll. He's fittingly cool for Inaba's favourite protagonist. Pale Rider is supposed to be one of the four horsemen of the apocalypse, with his ghostly, skeleton-y appearance representing this well. I really like all the details on Pale Rider - the crown, the bow, the eyeballs on the horse. While the eyeballs are a little odd, the Death Arcana looks very much like a demon and is perfect for his Arcana. As someone who owns two figures of Konohana Sakuya, I'm clearly a fan of the feminine Persona. It's beautiful and graceful, just like her user Yukiko. Her graceful posture, long body and petals (at least, I think they're petals) all make her look incredibly majestic, all while slightly resembling a cheerleader. She's probably my personal favourite design of all because of how graceful she looks and how striking it is in battle when she moves her petals. A while ago, I watched a very interesting video about the Mitamas of Persona that kind of blew my mind. It was by Game Theorists and you can watch it below, but in short it describes how each of the Mitamas represent a piece of demons personality. Which is way cooler than just thinking they were funny looking coloured teardrops with faces! As the video says, the red Ara Mitama represents bravery and rage, the yellow Saki Mitama represents happiness and bounty, the grey Kusi Mitama represents wisdom and special magic and the blue Nigi Mitama represents peace and calm. 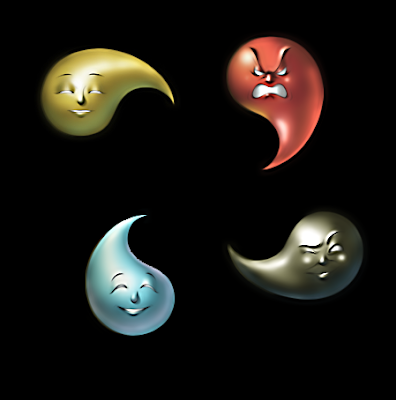 When these are fused into a Persona, depending which one is used, certain stats will go up and abilities will be given. They may not be the coolest thing to look at like the other Personas I listed, but they represent a lot of what I like about the Persona games in general - the deep amount of thought that goes into it. It's something a lot of people wouldn't notice (myself included before that video), but knowing it makes my gameplay experience that little bit richer and it's very interesting to see a part of Shinto religion used like this. You can pick up the Persona 3 and Persona 4 games and other related Persona goods at Play-Asia.com now! 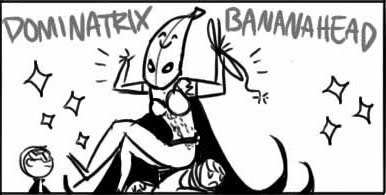 Who's your favourite weird and/or awesome Persona? And who's your favourite Jack Brother?